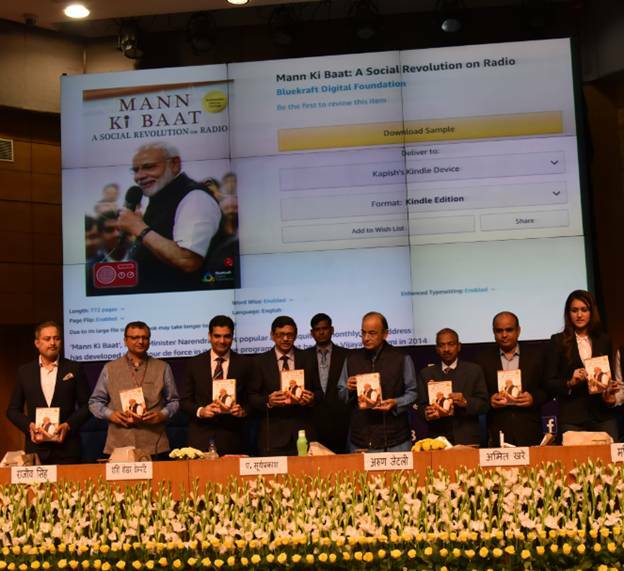 New Delhi: Shri Arun Jaitley, Union Minister of Finance & Corporate Affairs, today released a book titled ‘Mann Ki Baat – A Social Revolution on Radio’ in a function organized in National Media Centre, New Delhi. The book is based on 50 episodes of Prime Minister Shri Narendra Modi’s heart to heart talk with the citizens of India broadcast on All India Radio. The book sheds light on various aspects of Prime Minister’s outreach, the remarkable response it continuously received from the people, the mass movement it has inspired and the profound impact it ingrained in the minds and hearts of the youth of India. The book also gives insight into behind the scene research work done on the massive public feedback received through various channels after every episode of Mann Ki Baat, which had aired first on 3rd October, 2014. The book also gives a rare and exclusive opportunity to readers to discover several unknown facets of Prime Minister’s thinking and beliefs related to ‘Mann Ki Baat’, revealed by him to the authors of the book. The insights that emerge from the transcripts of the radio address are the most important contribution of this book. Interesting anecdotes shared by the members of the Prime Minister’s core team and people from All India Radio and MyGov shed light over the minute but interesting details of how the idea of the radio programme came up, how the name and frequency were decided and how the format was chalked out, among other things. 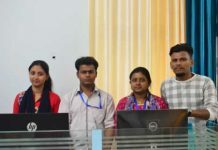 The book has been collated by BlueKraft Digital Foundation, a not for profit organization, and brought out by Rupa Publication, India, a reputed publishing house. Speaking on the occasion, Shri Arun Jaitley said that Mann Ki Baat program has a strong power of recall which leaves deep footprints in the minds of listeners of the program. He highlighted the power of radio, recalling its impact as a source of both news and entertainment, its huge geographical reach and as a mode of learning language. He added that radio was used extensively by Mahatma Gandhi during the freedom movement to reach out to people directly. Shri Jaitley said that Prime Minister Shri Narendra Modi started using the medium of radio for governmental communication in order to establish direct communication with people by identifying its wide reach. He added that the program is a great example of crisp communication, stating that time for long winded statements is over. Dr. A. Surya Prakash, Chairman, Prasar Bharati said that the program is a unique example of two-way communication wherein lakhs of citizens give their suggestions, which are mentioned by the Prime Minister in the program. He added that Mann Ki Baat program has been a critical instrument towards fulfilment of Dr. Ambedkar’s dream of social transformation. Shri Shashi Shekhar Vempati, CEO, Prasar Bharati said that telecast of Mann ki Baat on television is an innovation which has helped a radio program acquire life on television. He added that the program is also shown on social media and digital media platforms, which has created digital footprint and generated digital consciousness for radio. He hailed the program as a contributor to renaissance for radio. 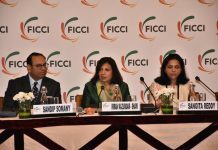 Shri Amit Khare, Secretary, Ministry of I&B; Shri Rajiv Singh, Member Finance, Prasar Bharati; Ms. Manika Batra, eminent sportsperson; Dr. Rajiv Kumar, Vice Chairman, NITI Aayog; Shri F. Sheheryar, DG, AIR and several other senior dignitaries of All India Radio and Ministry of Information & Broadcasting were also present on the occasion.